All XG FullGuard Plus Licenses, Subscriptions & Renewals can be found on their own individual product pages or purchase them below, more options can be found on individual product pages. Can't find the part you are looking for? Contact us today! The Control Center offers instant insights into endpoint health, unidentified Mac and Windows applications, cloud applications and Shadow IT, suspicious payloads, risky users, advanced threats, network attacks, objectionable websites, and much more. Policy Templates for common business applications including Microsoft Exchange, SharePoint, Lync, and much more defined in XML enabling customization and sharing. High Availability (HA) support clustering two devices in active-active or active-passive mode. Zone isolation and zone-based policy support. NOTE: XG Firewall reporting is included at no extra charge but individual log, report, and widget availability may be dependent on their respective protection module license. 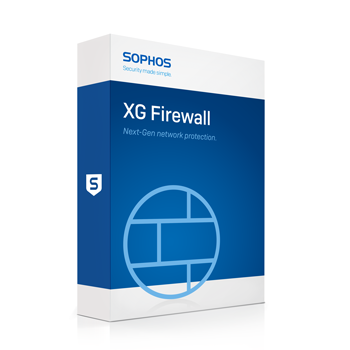 Download the Sophos XG Firewall Features Data Sheet (PDF).